Monique, one of the biggest reasons we are snowbirds is to avoid the bad weather. Although we have seen fine weather some years, there have been many more return trips with snow, cold and wind—not only on the way home, but going south as well. As the years progress, we find ourselves returning to Canada later and later. Not that this totally solves the dilemma, but it often helps. On the other hand, we have discovered that weather forecasters seldom tell the truth. 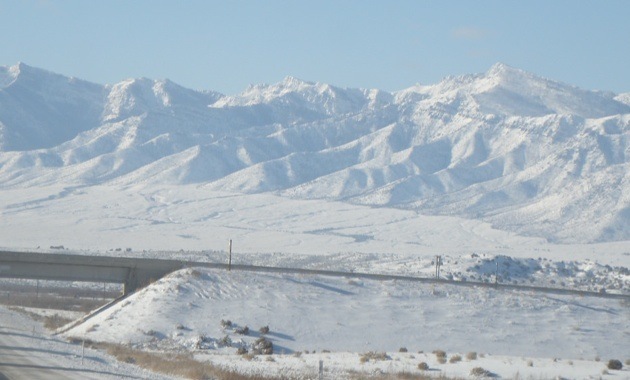 Travelling south last year, we did not run out of cold, snowy conditions until we hit Nevada (but that was unusual). We do have friends who never bother winterizing their RV for the trip home. Their philosophy is that at this time of year we are not going to get a hard freeze. They drive a motorhome that is easier to keep from freezing than a trailer. Empty the waste water tanks. Empty the fresh water tank. Ensure the hot water heater is off and empty and the bypass valve is open to prevent antifreeze from getting into the hot water tank. Put RV antifreeze in the lines (kitchen sinks, bathroom sink and shower/bathtub) and put some in the grey and black water tanks, because we will probably be using them on the way home (sparingly). We have fresh water containers (gallon jugs) that we fill with potable water and store in the tub/shower. As we have noted in other articles, we take the antifreeze with us because it can be difficult to find in the southern U.S. Surprisingly enough, there are still RV parks and facilities open when we come back into Canada. There are a number of campgrounds that are open all year round, as are dumping facilities. After the Sweetgrass-Coutts crossing between Montana and Alberta, there are a couple of parks with sites open all year round, and Lethbridge has a public dump/water site that remains open year-round. Wikipedia has a site that lists Canada-U.S. ports of entry. There is another site that gives dump sites. 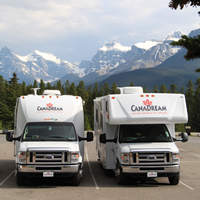 Most provincial tourism sites give a list of campgrounds and their seasonal open dates. The Alberta site link is albertacampgroundguide. Monique, this is how it works for us. I hope this information works for you as well. Even if geology isn’t your thing, approaching and driving through Death Valley gives you a sense of all the tremendous geological happenings throughout the ages.